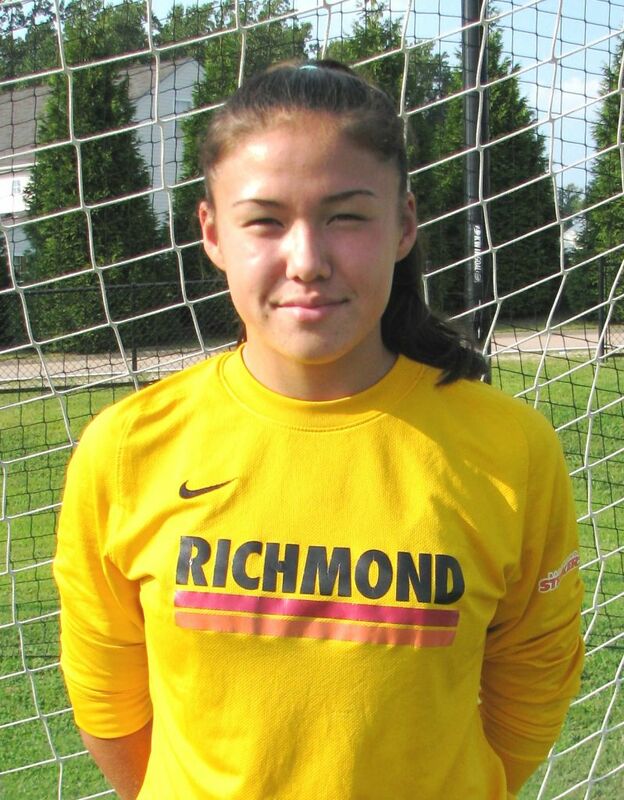 RICHMOND, VA (March 10, 2016) – As part of the Amazing Young WomenTM campaign, the Elite Clubs National League (ECNL) has announced the 2015 recipients of the H.E.R. Coaching Scholarships (Health &Education Resources). Six women from across the country were chosen from a deep pool of talented applicants to continue their coaching development and receive a scholarship to pursue a USSF “D” or “E” coaching license. The ECNL launched this program specifically for ECNL Alumni and aspiring female coaches. The ECNL caught up with Gracie to learn about her journey this past year as a current player, the coaching education course she plans to attend, and her future aspirations. A: An Iron Man suit, honestly….but if it was a “power” specifically, I would want to fly. A: Facebook, you can do so much more! A: I see myself graduating from college and moving onto medical school, not sure where just yet. A: The smiley face with the tongue sticking out. A: Italy. I have always dreamed of going to Rome, Venice and Sicily. A: Success is personally accomplishing what you want to do and more. If you want to ace a test and you do: that’s success. If you want to score the winning goal and you score a last minute goal from outside the box: that’s success. Achieve what YOU want to, set a goal and go for it and then you’ve succeeded no matter how big or small a task. Even if you fail, that’s a success if you learn from it, just keep trying. Success is not a destination but the journey towards your dream. A: Stay weird, it suits you. Also, don’t stop being curious. I thought at that age that I needed to fit in with everyone at my old school, but now at my current school, I realize there is always a perfect fit for someone somewhere, you just gotta keep being yourself until you find it. I’m also pretty curious. Sometime that makes me nosey, but mostly I just like knowing things. I like learning new things every day. A: Chocolate. Chocolate. And more chocolate. Gracie, you are an Amazing Young Women. Thank you for sharing your story and we look forward to following you as you continue your coaching career.